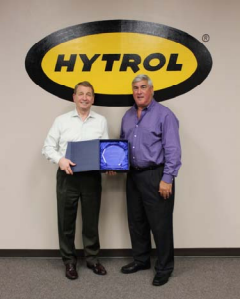 Don Laux, Colson Caster Corporation’s President and General Manager, presents Gregg Goodner, President of Hytrol Conveyor Company, Inc., with a distinctive award honoring the two company’s 50‐ year business partnership. 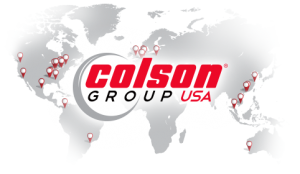 “I’m sincerely appreciative of the longstanding business partnership Colson has with Hytrol. 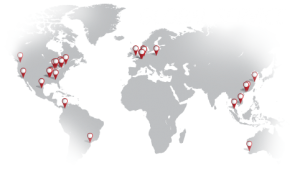 Not only is Hytrol an excellent customer, but also an upstanding example of good business practices and corporate citizenry, says Don Laux.” Colson and Hytrol have each been headquartered in Jonesboro, AR for more than 50 years and stand as innovative leaders within the material handling industries. 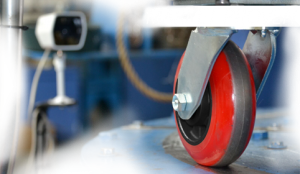 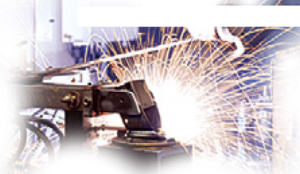 Both companies design and manufacture products to all the worlds markets and have earned global reputations for committed and long‐term client partnerships. 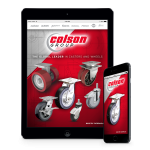 For more information visit www.colsoncaster.com or www.hytrol.com.